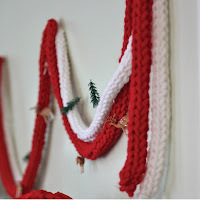 Update 1/7/2013: Check out my new Pinspired category for projects that were Pinterest inspired. Pinterest is a wonderfully addictive "social" site. It makes even the least crafty, least kitchen savvy, least creative person feel incredibly inspired. But how many people out there actually try their pins? How many of us just pin as many wonderful projects to their boards as they can, never to look at their boards again? Or at least never look at them with real intent? 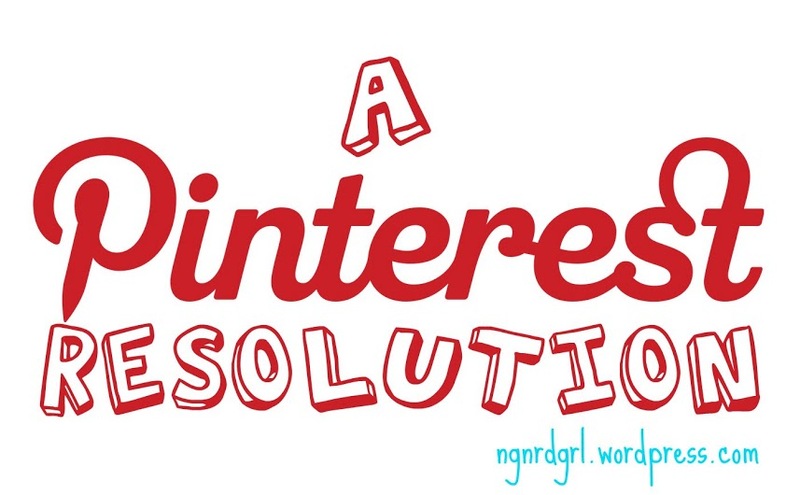 Well, here is a good new years resolution for pinterest users (like me)! A Pinterest Resolution! I think our over pinning is just an new leg of an old desire. Think of all the women who have collected home magazines, dreaming of all the beautiful rooms she could have. I always used to think that the "Martha Stewart" house was so phony and lame. I remember visiting a house in high school and laughing at the living room which was roped off because mom would not let anyone mess up her perfect room. Or the house that has all the perfectly matched items like it was straight from a magazine. Perhaps as I've gotten older, my natural nesting instinct has taken more root? I day dream over owning my own home, so now I naturally swing towards drooling over all the pretty pictures on Pinterest. I've always admired creative people. My brother and sister in-law are those types. My brother built a house for them! So crazy! I have always wanted to have just a small portion of their creativity. My blog was a resolution I made last year to get myself working on this. Pinterest was a distraction. I found pinterest when I was looking for inspiration on making my own jewelry display for the pieces I have made this year. When I found many of the pictures on google images were coming from Pinterest, I immediately signed up. I started my DIY Jewelry Display board. It currently has 120 pins on it, but I still haven't made one. My goal was to write a DIY Jewelry Display article on my blog with several inspirational piece, choose one or create my own, and make it! It's been roughly half a year since I joined pinterest and I can count the number of pins I have made on one hand. I suggest making this a secret board and when pinning things double pin it. Send all of your pins to their respective topic boards, then double pin those special pins you actually want to try to your "to do" board. This way when you delete the pins while organizing, they won't be lost forever. The goal is to NOT pin a ton to this board. Making it a secret board gives you the benefit of not posting double pins into your feed and no outside pressure. You want to pressure yourself to keep your goal, but this doesn't mean that every pin you pin to this board will get done. Step 2 - Set a goal for completing a predetermined number of pins over a specific timeline. In Be Your Pinterest Self, she suggested 5 per week. I thought this is a little too ambitious for me, so I'm choosing one project per week. You should choose a goal that meets your schedule. For you, it could be trying a project once every other week or once a month. You should choose a goal that is reasonable for you. If you really want to get up to 1 or 5 projects per week, start with a smaller goal and work your way up. Once you can feel successful with your smaller goal, you will be more likely to succeed with the larger goal. Step 3 - Create a "completed" board and as you successfully (or unsuccessfully) complete a pin, write a review, then move the pin to the completed board. You can add your review to the description of the pin, or if you are blogging, delete the pin and add your blog post to the completed board. 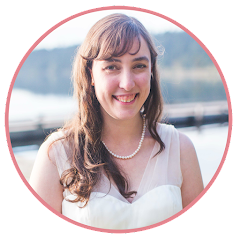 Remember to give props to the original pin in your blog post. I am making my to do board(s) secret, but I thought I would share with you some of the things I am hoping to do. Yarn Ball Chandelier - I think these would be great decor for a wedding either hanging or as center pieces. They would be colorful like flowers, yet inexpensive. Plus you could do any color theme you wanted! I want to do some blue ones for my guest room. Throw pillow from place mat. This could be an inexpensive throw pillow set. 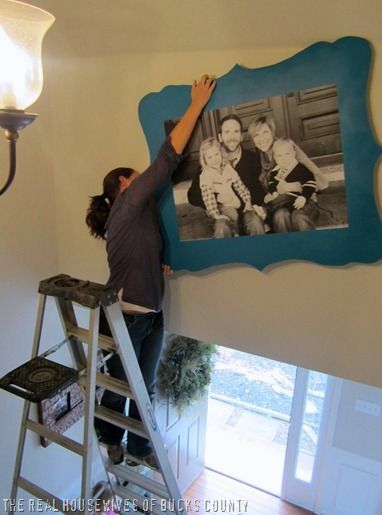 I love this idea and have already started keeping my eye open for blue place mats to match my updated guest room decor. Painted Vase - paint them any color to match your rooms color scheme. Love this! Finger knit a garland (for the Christmas tree next year?). 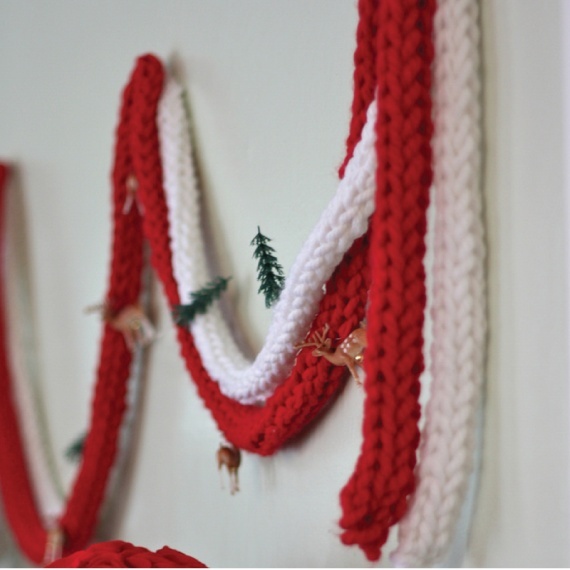 Update: Check out my Pinspired Finger Knit Garland with Pom Poms! Engineer Print - My fiance LOVES pictures of family. I have given him framed pictures and picture books for his birthday present. I really wanted to do this for Christmas, but it just didn't happen this year. It's still on my to-do list though. Apple Cider Shortbread Cookies - I actually made these for Thanksgiving! I'll post how they turned out soon! Baked Cinnamon Breakfast Bites - I LOVE cinnamon and cinnamon donut holes are so yummy. I have got to try these! SPAGHETTI AGLIO, OLIO, E PEPERONCINO (Spaghetti With Garlic, Olive Oil, and Chili Flakes) - We almost always have these ingredients in the house. Could be a great back up meal. Besides the challenge above, I've decided I want to completely re-organize my pinterest boards. They have become so unwieldy! My goal is to go through each board and decide on whether the board could be broken down into more boards for more organization. For instance, I have a DIY Home Decor and Improvements Projects board. I have started breaking this down into more boards, like DIY Furniture and DIY Built-Ins and Mud Rooms. I'm going to try separating out the crafts as much as possible from the decor. It is often hard to distinguish between the two. I also find that some of the crafts/DIY projects could be broken out too. For instance, I'm really interested in doing some wall art projects, so I have created a DIY Wall Art board. I also have renamed a few boards. For instance, I have a board that was named "Jewelry I want to make." Really this is a jewelry inspiration board. There is no way I'm going to make all these pins! Haha! So I have renamed it what it is, Jewelry Inspiration. I am going to make a new board called "Jewelry to make." This will be a similar board to the one in step 1 of the challenge above, except specifically for jewelry. So what do you think? Are you afflicted with a Pinterest addiction? Do you actually attempt your pins? Or are they just eye candy for you to dream about? Are you going to try the Pinterest Resolution or similar challenge? Post links to your successful or unsuccessful Pinterest projects in the comments below. What are some Pinterest pins that you have always wanted to try but never got around to them? What's preventing you? I love the idea of creating a "To Do" board! That might have to be one of my secret boards. And I recently went through and reorganized some boards as well as created new ones. It was time consuming, but made things so much happier in my brain. ;-) Pinterest is a great resource when used well, and you are beckoning us all in that direction. Thank you! Love your ideas and wish you the best, brightest, sweetest things in 2013!!! Happy First Day of the New Year!!! I love this idea! I'm always finding pins I pinned and am like "Why haven't I done this?" Thanks for sharing! I just started my own "To Do" board ... this is a fantastic idea! I'm not as addicted to Pinterest as I should be. I need to use it more so I guess that will be a goal for me for this new year. 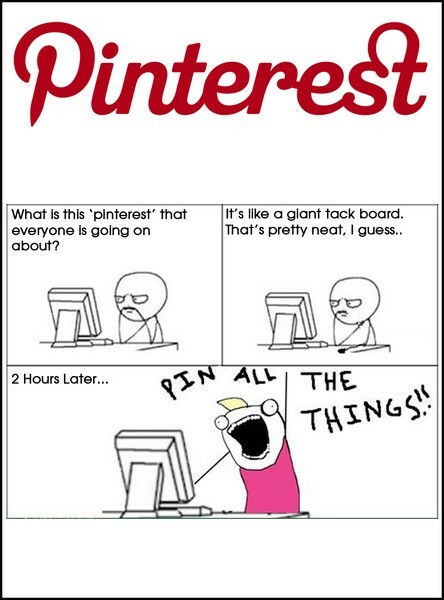 I'm glad I'm not the only one completely obsessed with Pinterest. I use it all the time for project inspiration, gift ideas, and recipes, so at least it's not a complete waste of time (although time you enjoy wasting is never really wasted time). I should make a "to do" board with a list of goals - brilliant! Smart! I have made a bunch of things that I pinned on Pinterest, but I never made the To Do and Completed boards cuz my OCD hates it when things aren't categorized on the proper boards. But it's so smart to just choose a few and work on those, love the idea! Thank you! I like them categorized too, that's why I'm double pinning them. I still send them to their respective boards, but then I also send the select few to my secret "To Do" board as a goal list. I think I would keep my to-do secret so that people didn't know that I failed to reach my goals! LOL! I have a 'Pinned & Done' board. I move pins there when I try/complete them. It really feels good to move them and know that I'm not just pinning everything I see. Sure, there are lots I will never do, but there are a slew I really plan on doing.